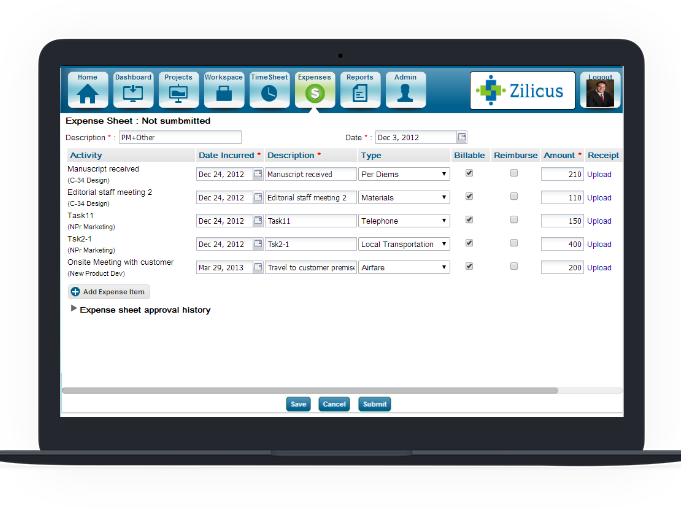 Project team members can submit expenses using ZilicusPM mobile app that can be downloaded on your iPhone, iPad, Android based smartphones and tablets. 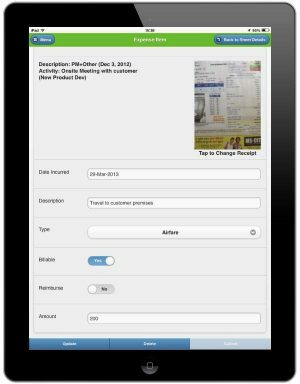 It is made so easy that you can even take a photo and upload the bill right through your ZilicusPM mobile app. 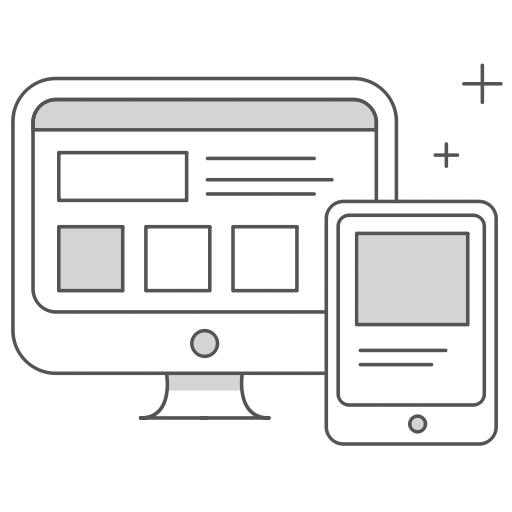 It is inter-device operable, which means, when you save expenses from mobile, tablet; you can still submit it or reopen later using your laptop/desktop. Isn’t that nice? Once project team members have submitted their expenses and those expenses have been approved by respective project manager; project manager and portfolio managers can run report to track expenses applicable for a given project, for a given period for a specific expense category. 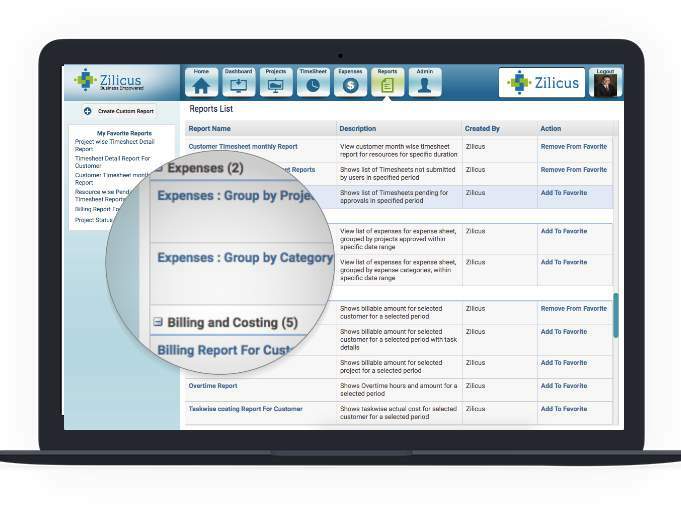 There are multiple expenses reports that project, portfolio managers can use to identify expenses incurred against project, these reports can also be tracked at a project level, as well as task level. Since project expenses are linked to tasks, these are accounted as actual expense cost element, hence it becomes a critical information to track effective contribution of project expenses to project cost financial. Going further, the expenses data can be used to effectively measure the effective spend of budget across multiple cost accounting heads and again specific categories of expenses allowed. I love that this program has helped better manage our projects, jobs, and what is due and deadlines for each aspect of a project. Also, it helps us keep track of when items are due and it alerts you as well. Since using this program, we have managed our time and projects more efficiently. 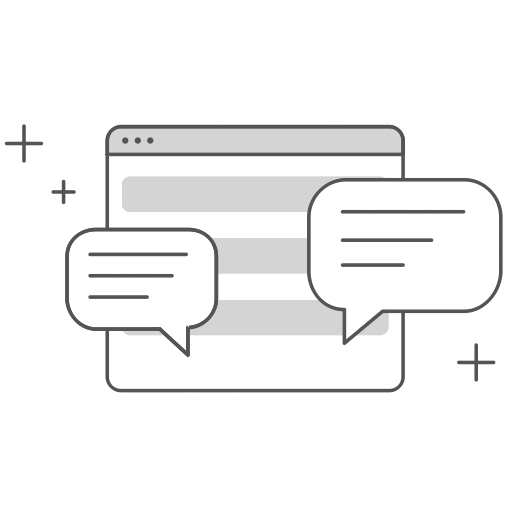 Ideate and collaborate with your project team, clients. Invite your clients, share plan, documents, issues, changes with your clients. Create your own report, set columns, filters, grouping, etc. 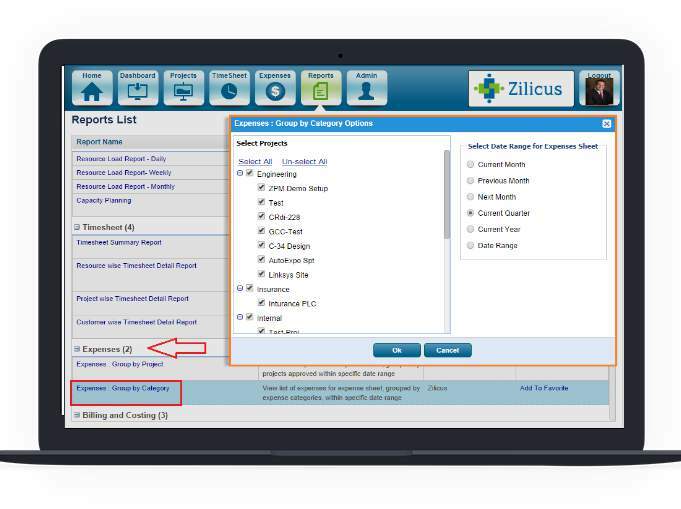 Explore guides to best practices of project management, tools, processes, project management office setup , etc published on ZilicusPM blog.